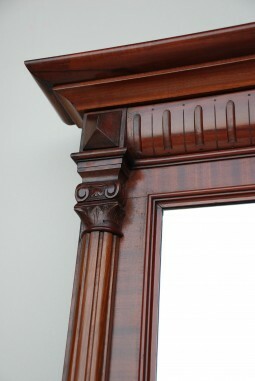 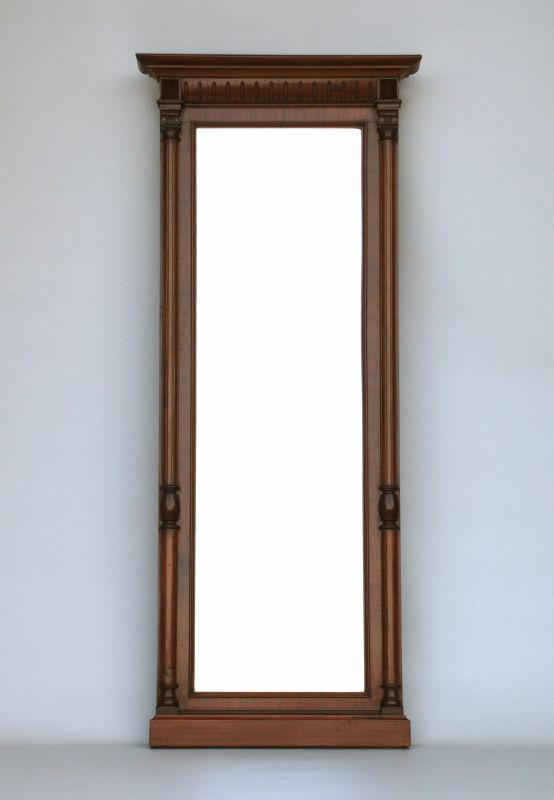 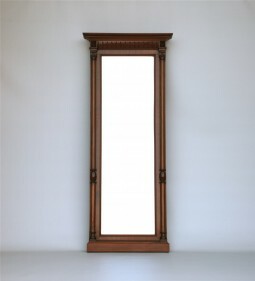 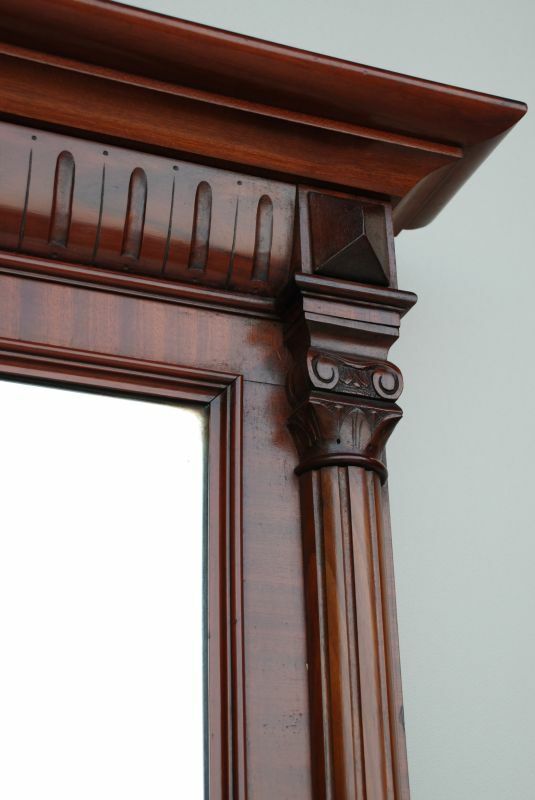 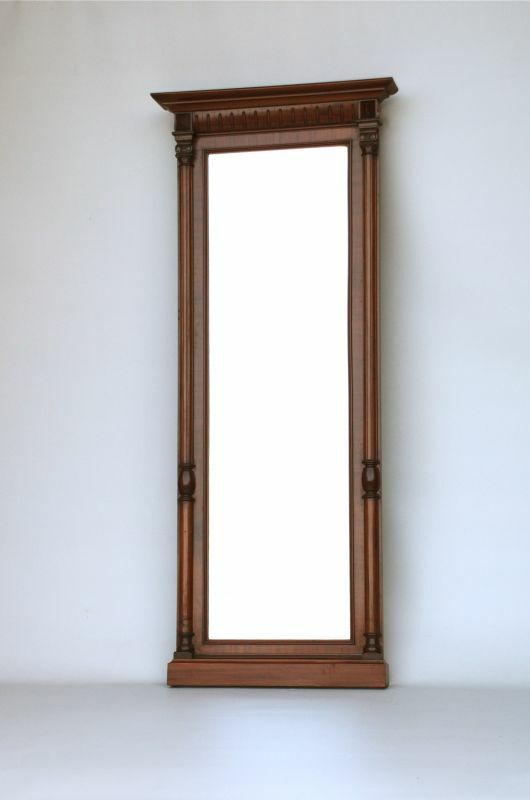 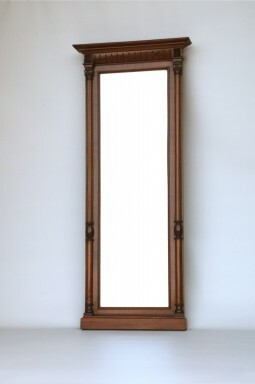 This is a tall and elegant 19th century Mahogany framed mirror, c1880. It is a large, door sized mirror that could add light to a dark hallway, or used as a cheval mirror in a dressing room or bedroom. It has its original plate glass, and what you can't see is that in edge is beveled. The measurements are 87 cm wide, 12 cm deep and 206 cm high.